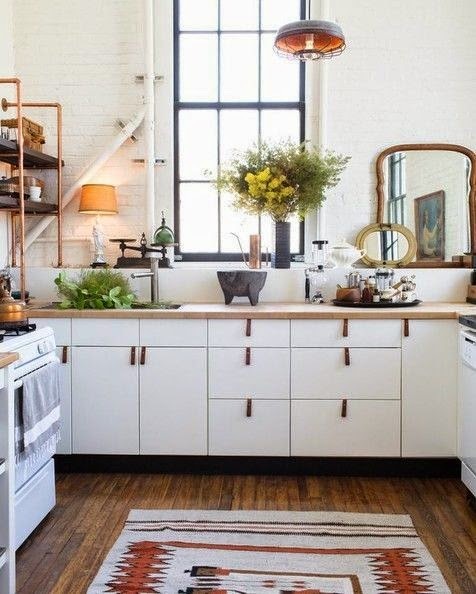 Beautiful kitchen. I like the mirrors! via lonny.